Specific information about proper use of the Engineering network can be found in the Engineering Policies and Procedures Manual. Using standards based internet working protocols, the College supports 36 Linux and Windows servers. The College also supports 1500+ fully integrated PCs running native CIFS networking protocols supported by Samba and Active Directory. Engineering maintains 500 terabytes of online disk storage for applications and 6,000 home directories. Twenty Five+ college and departmental computing labs house 350 PCs running Windows or Linux available 24x7x365. 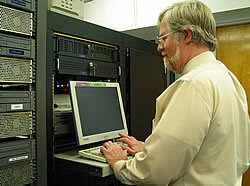 Servers and labs are managed by a team of IT professional comprising the College's Computing and Network Services. The College runs integrated NIS, SMB and AD domains providing students, faculty and staff access to all network and computing resources within the College with a single user-id/password. 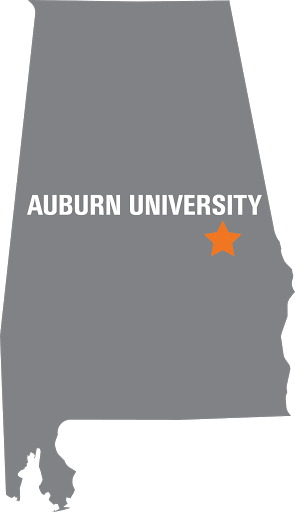 Usernames and passwords are synchronized with AU's central computing and network resources. The College maintains wide array of compilers, engineering programming libraries and major engineering applications that can be accessed from most nodes on the network.